Sports games available as launch titles have a notorious history for not being so great due to shorter development periods and set release dates that can't be changed. This often leaves developers at the mercy of preexisting requirements that won't allow all of the features of the new game to be introduced in a new title. However, developer and publisher EA Sports has managed to buck the trend with their new release of FIFA Soccer 13 for Nintendo's Wii U. While FIFA Soccer 13 for Wii U does make a few small sacrifices, the game is a very entertaining release that is just as fun as its counterparts available for other platforms. Many bold new features and risky new gameplay mechanics pay off for EA Sports to create quite possibly the best launch sports title for any console ever. FIFA Soccer 13 added many new features to the FIFA franchise including First Touch Control, Complete Dribbling, Attacking Intelligence and new FIFA Ultimate Team mode. The Wii U version of FIFA Soccer 13 doesn't include FIFA Ultimate Team, but nearly every presentational feature and other new game modes make their way into this faithful port. With First Touch Control, players react more realistically to the ball than ever before when it comes their way, and while it comes with a fairly steep learning curve, you'll love it once you've mastered it. Complete Dribbling is another new feature that just better improved the realism of the game by creating a means to perform all types of special dribbling moves to shake defenders and create better shots on goal and a looser ball that doesn't stick to its possessor and allows other players to better defend against incoming strikers. Finally, Attacking Intelligence makes all players on the field react appropriately whether playing on or off the ball to help AI controlled players to get in better positions to set up shots and to defend against potential goals. FIFA Soccer 13 for Wii U features exclusive controls and features not seen in other versions of the best-selling sports title. You can use the Wii U controller's touch screen to quickly bring up a special screen that allows you to touch the screen and make a shot on the goal in the specified location. The controller can also be used to design the arc and trajectory you want to put on your shot during free kicks to ensure you're kicking the ball in just the way you intended. The touch screen is also useful on defense as you effortlessly switch between characters or call for a tackle or better defense on a certain offensive player. The main drawback here obviously, is that with only one Wii U pad, only one player will be allowed to enjoy these great features for the time being. The new mechanics definitely take some getting used to also, but they soon become part of the experience, and you'll find it difficult to go back to playing FIFA Soccer 13 in the conventional way again. Although FIFA Ultimate Team isn't featured in FIFA Soccer 13 and Skill Games has been left out as well, the game does come with a variety of ways to play including offline with up to 5 players and online season modes. With the Wii U gamepad, players can control and manage every aspect of a team as the game is underway including managing rosters and substitutions, checking statistics and drawing up plays all without pausing the game. Of course, traditional matches are featured in the game, or up to four players can compete with a fifth player managing the teams. Online seasons are also available to play with a full lineup of features including ranks and leaderboards, real FIFA and UEFA teams and more. 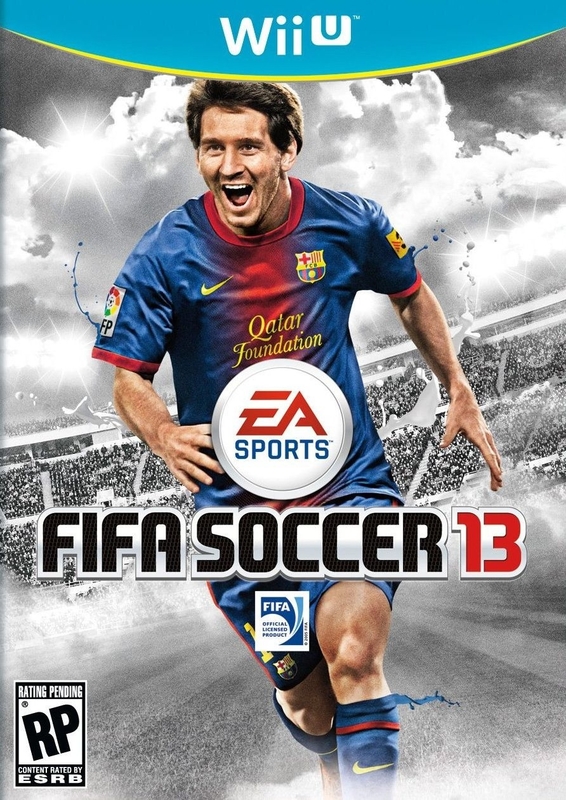 FIFA Soccer 13 is a huge game, and there is always a fun new way to experience the the world's sport in the game. Give the ultimate gift for sports fan this holiday season with FIFA Soccer 13 for Wii U! FIFA Soccer 13 is now available from all major retailers and can be purchased for the MSRP of $59.99 on PlayStation 3 and Xbox 360, $49.99 on Nintendo Wii and $39.99 on PlayStation Vita, PlayStation Portable, PC and Nintendo 3DS. 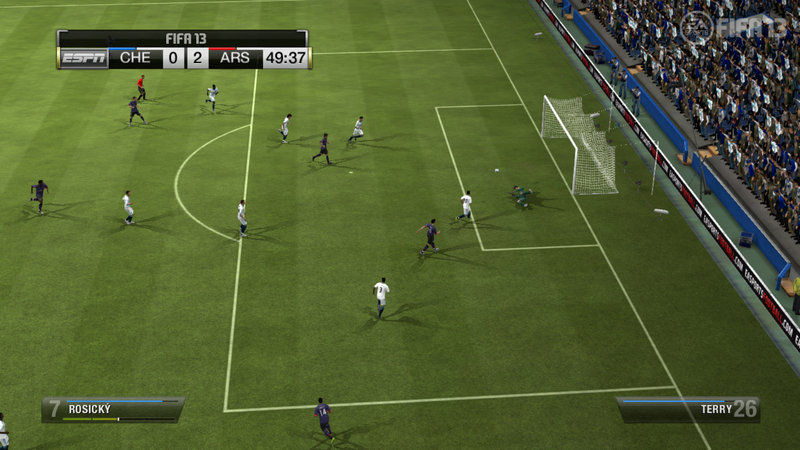 FIFA Soccer 13 is rated E by the ESRB. 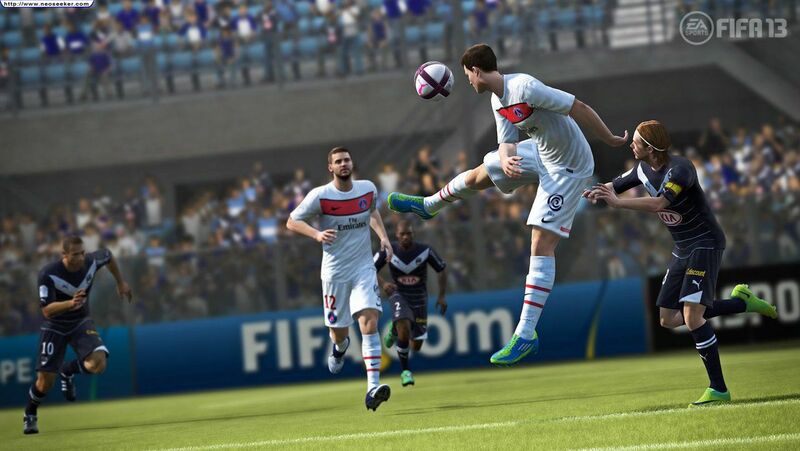 For more information on the game, check out the official FIFA Soccer 13 website.